The Italian lender is nearing a deal with Swedish group Intrum to shed 10.8 bln euros of dodgy loans from its balance sheet. Domestic peers will be cheered by the price, which is higher than rivals have attained in similar transactions. Then again, Intesa is a better bank. 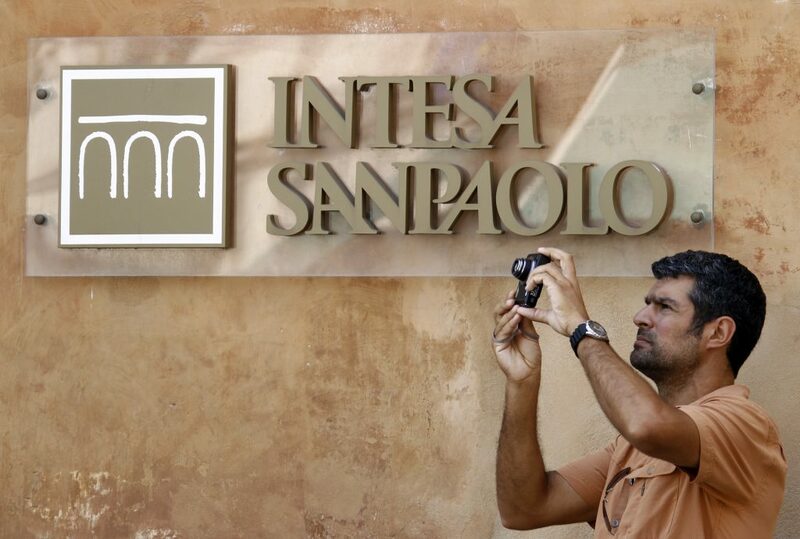 Intesa Sanpaolo, Italy’s biggest bank, said on April 17 it had accepted an offer by Sweden’s Intrum Justitia for a majority stake in a new joint Italian bad loan servicer as well as 10.8 billion euros of the Italian bank’s bad debt. Under the deal, Intrum will own 51 percent of a platform made up of Intesa and Intrum’s Italian loan servicing activities and Intrum’s Italian operations. Intesa will own the rest. The platform will have a 10-year exclusivity deal for servicing the vast majority of Intesa Sanpaolo’s new non-performing loan inflow. The deal, which was first announced in January, values Intesa’s servicing platform at 500 million euros and Intesa’s bad loan portfolio at 3.1 billion euros, Intesa said. The loan portfolio will be deconsolidated from Intesa Sanpaolo’s balance sheet and put in a special purpose vehicle. Intrum says it will own 80 percent of the 51 percent in the SPV, with an unnamed co-investor owning 20 percent of the majority stake. Intrum estimates its total net cash investment for the deal at 670 million euros. Intesa said the deal would generate a net capital gain of around 400 million euros in its income statement. Intesa shares were up 1.5 percent to 3.1 euros at 1021 GMT on April 17.